One of my target areas this week was working through the kids' art work and school projects. I LOVE all of the stuff they work on....I do NOT love how much we accumulate of their stuff. So, my solution is an easy one and lets me ditch the guilt AND their stuff all while preserving their memories! Thanks to the Project Life App, I'm able to consolidate these pieces of art into single pages. I simply snapped pictures of each piece with my iPhone and then used the app to create the pages. I was even able to order directly from the app and can't wait to get my prints in the mail! I tossed the art in the recycling bin and we get to start over for 2015. I typically gather their stuff for the year and do this in one shot. For Andrew's stuff from 2014, I managed to pull together 4 pages that will be printed as 12X12 and inserted into 2 page protectors in his own Project Life book for the year. I love how they turned out digitally! I especially love seeing the progression of his handwriting and level of detail in images. Kindergarten is such a fun year for them developmentally and now I have everything consolidated nicely! 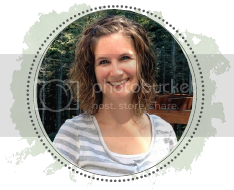 Be sure to check out the Project Life App by Becky Higgins. It's only available for iPhone/iPad right now, but I know the Android version is coming! It's only 99cents right now! Make sure you stop by your Tuesday Talk Host sites...we love meeting you! That is a super cute and compact way to document kids' artwork! Love it! How cute! Such a great idea to keep the memories without all the clutter!